Floor Space: 40 With One Reel Stand 21 ft. x 7 ft with Four Reels Stands 34 ft. x 7 ft.
We are one of the best manufacturer of Plastic Sheet Cutting Machine. As a leading manufacturer of Plastic Cutting Machine, we also provide Plastic Sheet Cutting Machine. We put forth for our clients a highly configurable range of Hydraulic plastic sheet cutting machines, which is excessively used in various industrial applications. Sturdy in construction and fabricated using premium quality raw material, this machine offers longer service life and better efficiency. Moreover, these are in high demand among our clients owing to their optimum output. We are successfully meeting the requirements of our clients by manufacturing the best quality range of Plastic Sheet Cutting Machine. Our company is the major in offering Plastic Sheet Cutting Machine. Our company is one of the major company who deal in Plastic Sheet Cutting Machine. We have been able to offer our clients qualitive range of Plastic Sheet Cutting Machine. 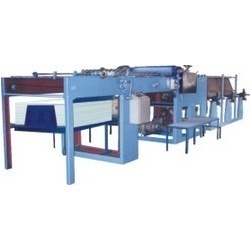 We have founded ourselves as a recognized manufacturer of Plastic Sheet Cutting Machine. Our company is able to to provide Plastic Sheet Cutting Machine to our valuable customers. 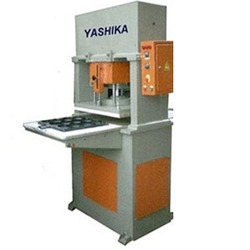 We are eminent manufacturer of Plastic Sheet Cutting Machine.